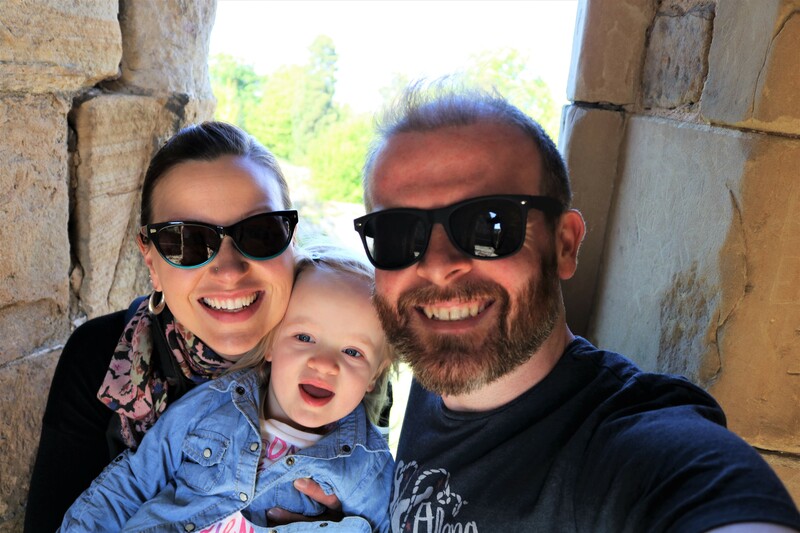 Normally my posts are effusive in their praise for the many and varied attractions and locations I have visited on my travels…but not this one! We ended our Euro 2012 trip in Belgium, visiting first Bruges and then travelling on to Brussels, from where we would eventually fly home. Our time in Belgium was wonderful and it was with high hopes that we set off from our airport hotel (disappointing) to explore the city of Brussels on our final afternoon. From the off our experience of Brussels was negative, with an incredibly rude woman working at the Metro ticket kiosk and astronomically high ticket prices, and unfortunately it never really recovered. 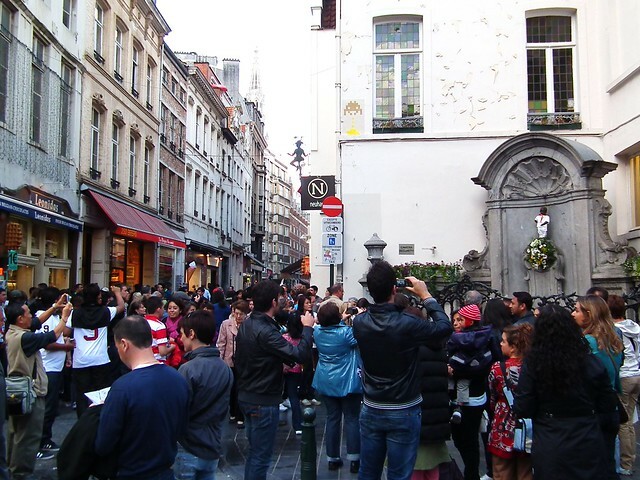 One of Brussels most famous visitor attractions is the Manneken Pis, a fountain situated in the centre of the city’s pedestrian centre. If you are unfamiliar with the fountain, it depicts a small boy, member drawn, peeing a constant stream of water into a basin below. Yup, you read that right, a statue of a peeing child is one of the top attractions in Brussels. Assuming there had to be more to this spectacle than the description would have you believe, we set off to see it for ourselves. After wandering for a while we came upon a throng of tourists, all of whom were photographing and staring at a tiny statue on the wall. 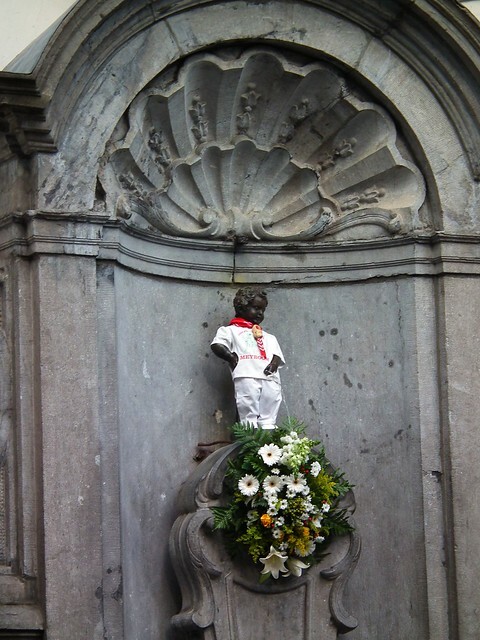 This, apparently, was the famous Manneken Pis. This tiny bronze statue (it’s only 61cm/24in tall) was what we had come all this way to see? And to add insult to injury, it was dressed up in a tiny costume and would periodically shoot its stream into the crowd. I don’t think you could design something tackier if you tried. Maybe I’m missing something, but the Manneken Pis is without a doubt one of the most disappointing sights I have ever seen. If getting peed on by a statue of a small boy is your idea of a good time, then by all means, head to Brussels. If, like me, you prefer urination to be kept in the bathroom, then maybe the Manneken Pis isn’t for you. I know, I’m a prude…..